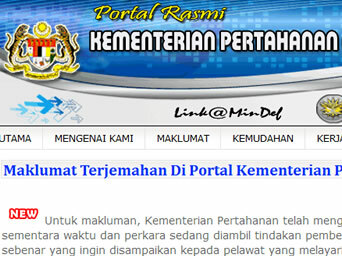 Seems that the Malaysian Ministry Of Defence (MINDEF) was left ‘red-faced’ after their official site was spotted having bad English instructions for their clothing guidelines. The site administrators decided to take off the English translations soon after the errors were gaining popularity over the internet, but that didn’t stop netizens giving MINDEF a good brushing over the internet. Many claimed that the website, which may have cost thousands should be well maintained, and that the translation should be more accurate. STAR Online reported that MINDEF has taken measures to rectify the problem.